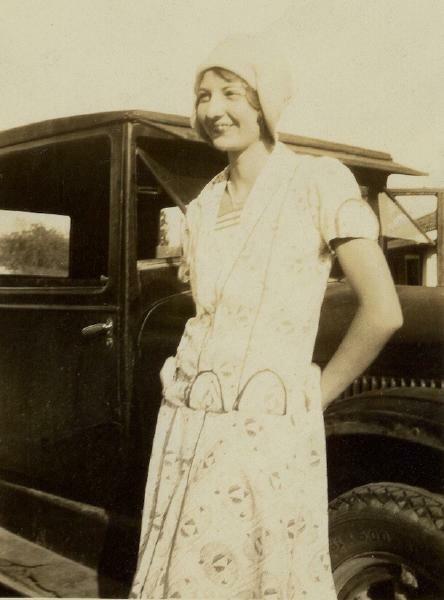 Thelma Louise Bridges was born on 15 January 1911 in Munday, Knox County, Texas. She married John Eugene Weiler, son of Herold James Weiler and Ruby Dawson Houston, on 31 March 1934 in Wichita Falls, Wichita County, Texas. Thelma Louise Bridges became a widow at the 4 August 1993 death of her husband John Eugene Weiler. Thelma Louise Bridges died on 2 May 2004 at age 93. A memorial marker for Thelma Louise Bridges was placed at Oakwood Cemetery, Corsicana, Navarro County, Texas.